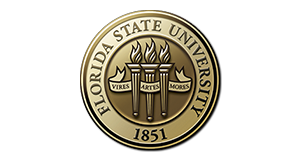 Master Craftsman Studio is a unique university auxiliary associated with Florida State University’s Facilities Department. We specialize in creating one-of-a-kind custom art pieces for our campus and clients. MCS provides personal accommodations throughout the lifespan of the project and ensures a successful design process from consultation, to estimate, and installation. Master Craftsman Studio also believes in the importance of in-school internships and provides students with a professional studio environment. Students are exposed to the inner business framework of estimates, installations, and creative problem solving. Furthermore, students are able to work side by side with our professionals to gain hands on experience with the studio’s equipment and refine their artistic abilities and techniques. Master Craftsman Studio is a self-sustaining studio and welcomes the opportunity to answer any questions that you may have. Our artists are experts in private and public art pieces, bronze sculpture, stained glass, furniture construction, restoration, etc. Please contact MCS at (850) 644-0139 or email mcs@fac-lists.facilities.fsu.edu with any further inquiries. Master Craftsman Studio is located at 905 West Gaines Street in Tallahassee, FL. We are at the crossroads of Gaines Street and Woodward Avenue. The studio can be found at the west entrance of Gaines Street, perpendicular to our “Declaration” art piece located in the round-about. Parking for the studio can be found in the south grass lot.